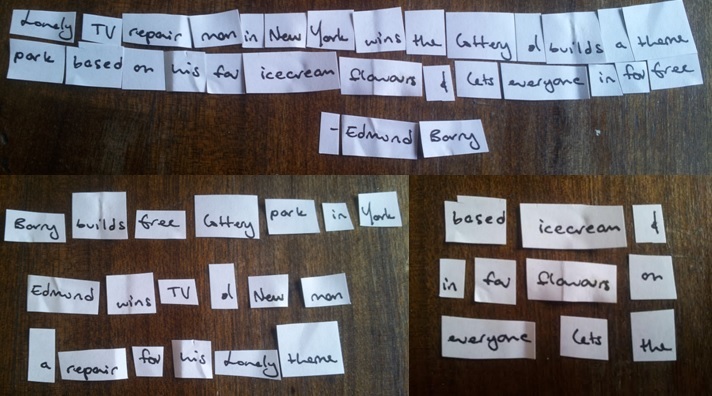 Today I pulled Edmund Barry’s idea (top photo below) but then I decided to approach the prompt in a NEW way (because of January being themed ‘new things’ and all)! I created a new story just using the words he gave me and nothing else. The story is pictured on the bottom left and the words I had to discard (after hours of frustration that I couldn’t find a place for them) are pictured on the bottom right.